Small business marketing is no easy task. It can be chaotic, confusing, and draining. At times, it might even seem borderline pointless. How many times have you thrown hundreds, maybe thousands of dollars at marketing methods that just don’t perform? Yep, we can see you nodding your head right now. It’s crazy, right? You trust people. You buy into the “overnight success” promise, and give unqualified sales reps your hard earned cash. When the results don’t come flooding in as quickly as the cash went flying out, you have a problem. We hate to be the bearer of bad news, but these kind of issues make you, the small business owner, incredibly uncool. 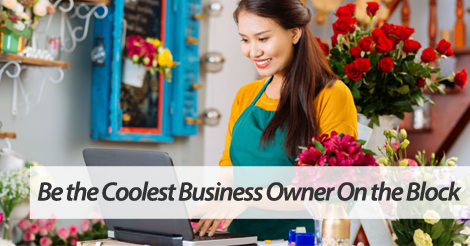 How do you go from broke, uncool business owner to, well, not? Know your marketing. It might sound like a drag, and we’re not saying it’s going to be easy, but it’s the only way. Here’s a few things you should look for when mulling over a marketing provider. Sure, the next big marketing trend might sound appealing, but what happens when this solution fades? You want to partner with companies that are constantly setting trends, not chasing them. Work with innovative people who understand the importance of forward movement. What kind of resources do they offer? Do they have a customer support team that walks you through the setup process? Are their educational materials readily available for your consumption? If not, then don’t even waste your time. Is this within your budget? This sounds like amateur advice, but don’t spend money you don’t have. Set a budget, and stick to it. Let’s say you set aside $250 every month for marketing. Don’t let anyone talk you into spending $500. It’s not worth it. As you grow, you can scale your budget. Until that point, think outside the box, and look for affordable methods that give you a great return. What kind of return can you expect? Set ROI expectations. How much do you need to make in order to consider this effort a success? More specifically, set a limited window of analysis. For example, if you’re spending $29 a month on our basic plan, how many opt ins do you need to gather in 30 days to make this worth your spend? When you set these kind of expectations, you know how to accurately measure success. With all that said, what really makes you cool? Signing up for our online texting service. (Haha, bet you knew that one was coming!) Seriously though, we’re obsessed with helping small business owners succeed using our service. Give us a ring at 1.800.688.6290 to learn more, or head over to then pricing page and sign for a free plan.